Once again, Peak Performance Apps GmbH supported the European Broadcasting Union (EBU) and this year’s Eurovision Song Contest as exclusive App-partner. Thanks to the app, the European viewers were able to vote effortlessly for their favourite act, when 42 countries competed for the victory of Europe’s favourite TV-show. 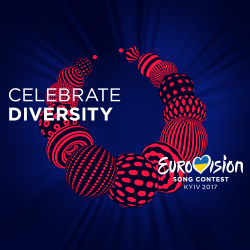 Following this year’s central theme “CELEBRATE DIVERSITY“, the official Eurovision Song Contest App creates a multilingual contact point for all Eurovision Fans. By that, Europe’s viewers were offered the option to easily vote for their favourite artist via the app during the two semi finals on the 9th and 11th of May as well as the Grand Final on the 13th of May. This year, the app is available free of charge for Android, iOS and Windows Phone users. But there is more to the app than just being a tool to vote: It shortens the idle time for Europe’s most popular music-event and makes the live experience even more exceptional. The official Eurovision Song Contest App accompanies the viewer during the live shows and provides a variety of corresponding background information about all the participating artists, their home countries and their songs. During the acts, app users can push the “Favourite-Heart“ to mark his or her preferred contestant for the upcoming voting. For the very first time, OSRAM Light Voting was integrated into the app and enabled users to affect the illumination of the Kyiv’s landmarks while the competitors performed live on stage. Depending on the average collective valuation of the act, Kyiv’s monuments were illuminated in different colours. Moreover, the integrated YouTube live stream gave fans the opportunity to watch the semi finals and the Grand Final on the go. The app is being complemented by a multitude of features. The exclusive updates present the latest news, as well as sundry picture- and video galleries. Users can add an individual Eurovision touch to their pictures with the popular Eurovision Selfie-filters. Additionally, it is possible to download the official Eurovision songs as well as the karaoke version of each song via the in-app music store.